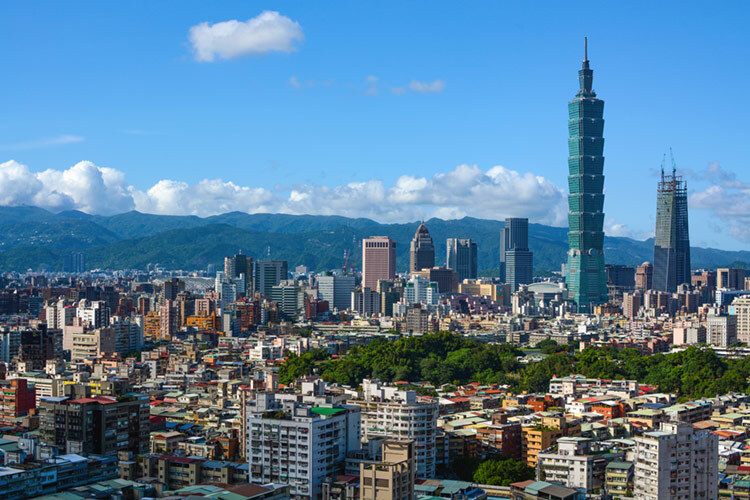 Taiwan is a small self-ruling island, not much bigger than the U.S. state of Maryland. It contains some of the world's oldest and most numerous Chinese temples, art, and artefacts, which were never subjected to the horrors of the Cultural Revolution in mainland China. 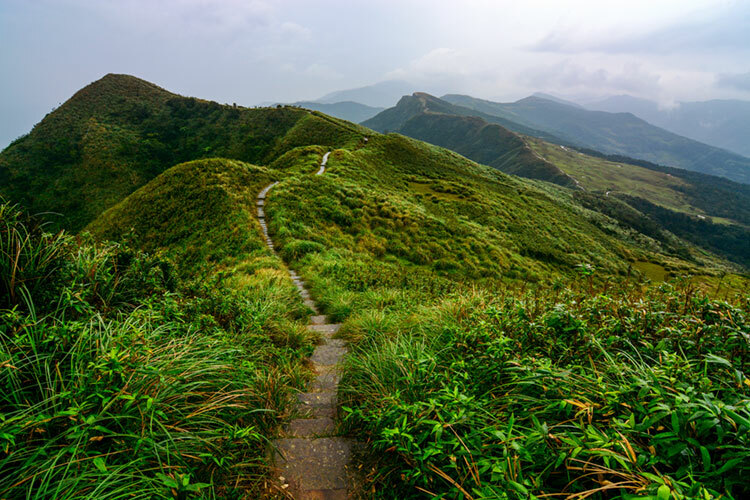 An often overlooked travel destination, Taiwan has a modern and very densely populated west coast contrasted by a mountainous and green east coast, the latter of wich is home to ancient forests, snow-capped peaks, and excellent hiking trails. Taipei city skyline, dominated by the Taipei 101 building, a 101-story skyscraper and formerly the tallest building in the world from 2004 to 2009. Boardwalk to Baoshi Mountain Lookout on the coast of the Yin and Yang Sea near Jiufen. 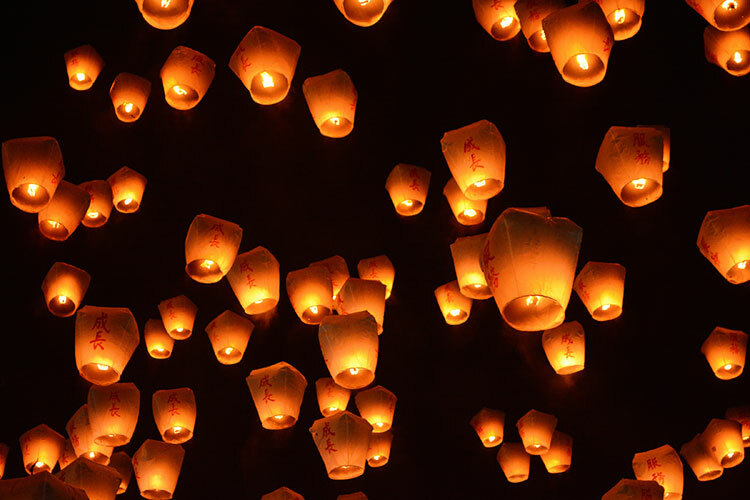 Lanterns bearing wishes for growth and prosperity at the Pingxi Sky Lantern Festival. Formerly known as Ilha Formosa (Portuguese for beautiful island), Taiwan was originally inhabited by Austronesian-speaking aborigines, a group of people that is also found in the Philippines, Malaysia, Indonesia, and New Zealand, among other countries. Today they account for only about 2% of the population on the island. 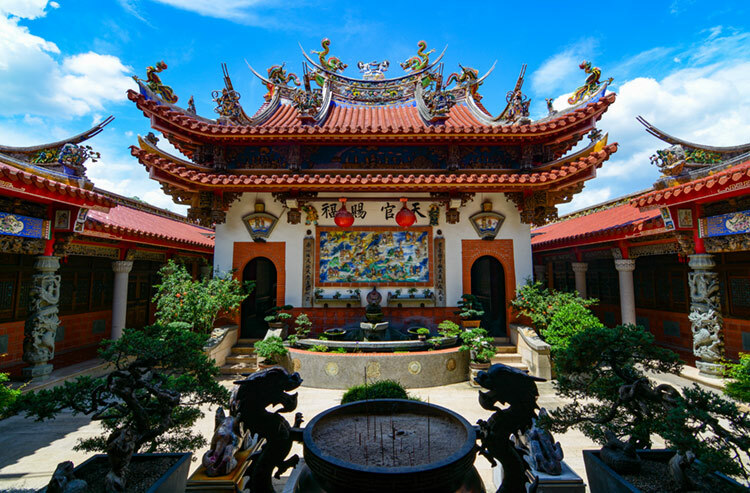 Courtyard inside Chi Fa Mazu Temple in Yunlin. It earns my vote for best temple in Taiwan. Red light trails from hundreds of tail lights at the intersection of Xinyi Road and Keelung Road. 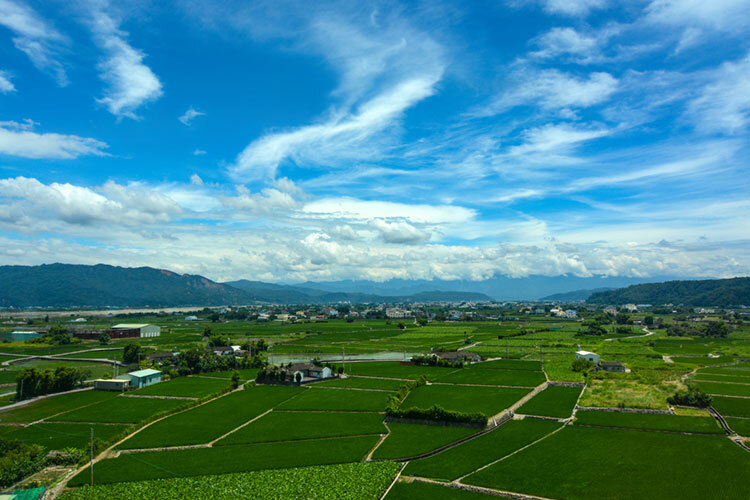 Expanse of verdant rice fields and lotus pond farmland in Taizhong (Taichung). The earliest known use and cultivation of hemp dates back 10,000 years to hemp cording on pottery found in an area that is now present day Taiwan. It's one of the first plants to be spun into fiber, and has played an important role throughout history for use in rope, food, clothing, paper, textiles, biofuel, and paint. Hemp, or industrial hemp, is a cultivar of Cannabis sativa, the same species of plant from which marijuana is cultivated. However, Hemp has very low levels of tetrahydrocannabinol (THC), making it unfit for recreational use. 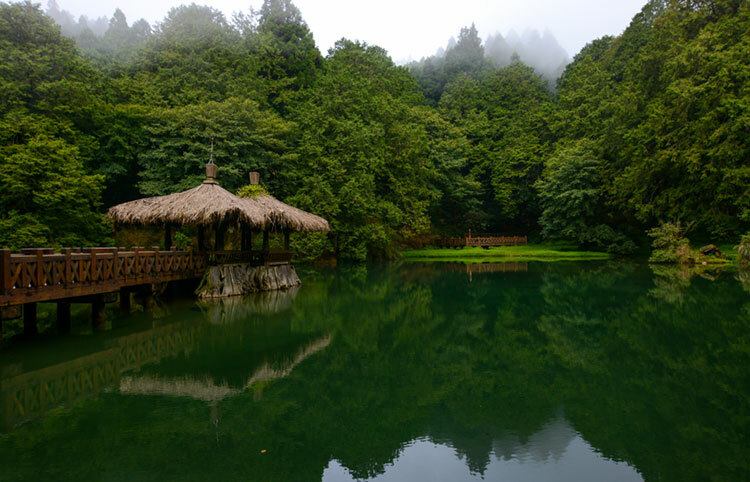 Elder Sister Pond and thatched gazebo at Alishan National Scenic Area in Chiayi District, Taiwan. 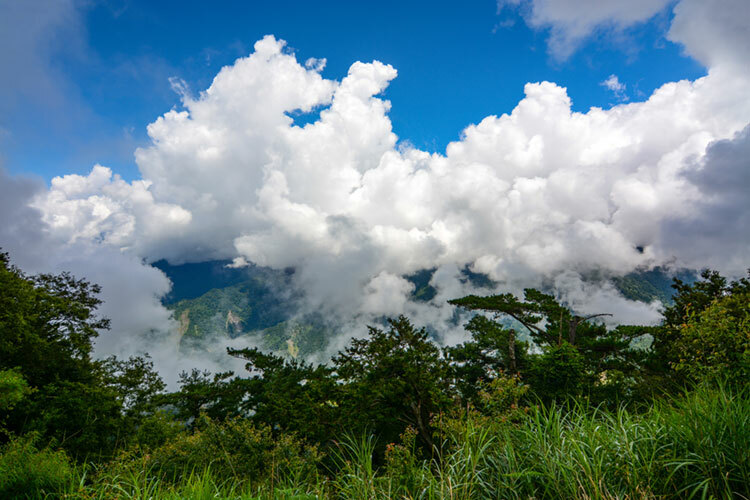 Explosive clouds engulfing the Alishan Mountains after a hard downpouring of rain. 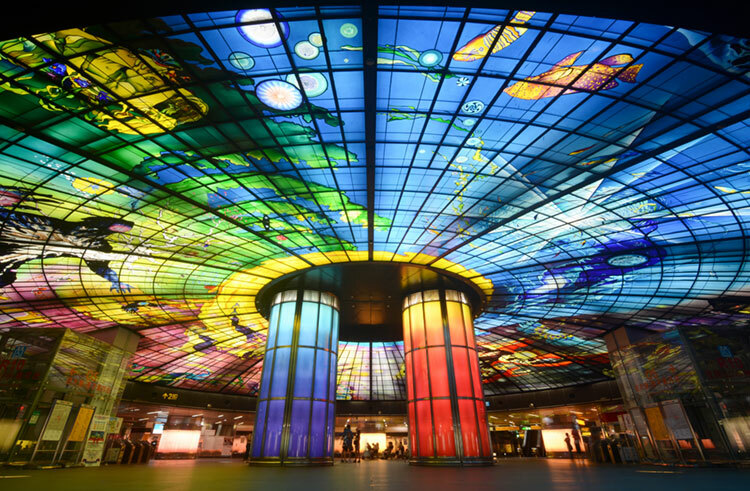 The largest glass art in the world, the Dome of Light by Italian artist Narcissus Quagliata, at Formosa Boulevard station in Kaohsiung. On February 28, 2004, in a demonstration known as the 228 Hand-in-Hand rally, roughly two million Taiwanese formed a 310-mile (500 kilometers) long human chain stretching from the north end of the island to its southern tip, then symbolically turned their backs to China. The event was held on the 57th anniversary of the February 28 Incident and was inspired by Baltic Way, a similar demonstration in 1989 of two million people in Baltic states forming a line to oppose Soviet rule. 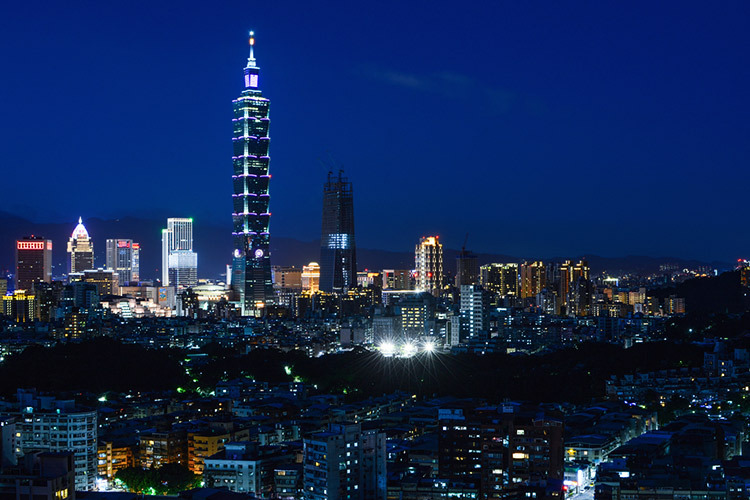 Dazzling night view of Taipei's skyline. Taipei 101 glows a different color each day of the week. 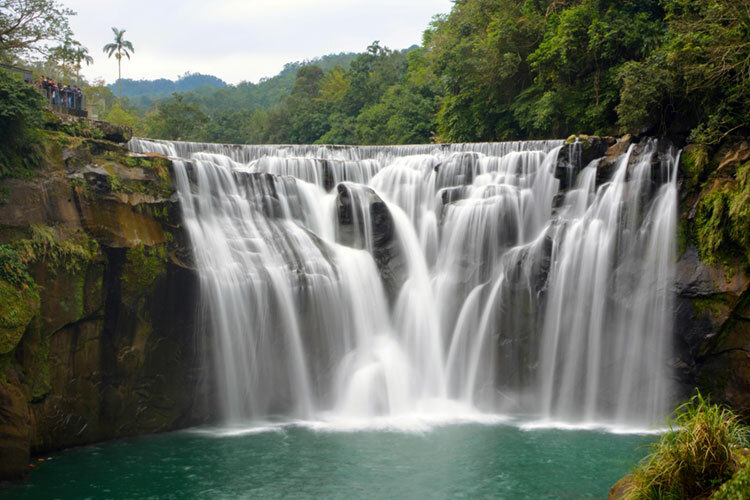 Shifen Waterfall in Pingxi District is the broadest falls in Taiwan at 40 meters (131 feet) wide. 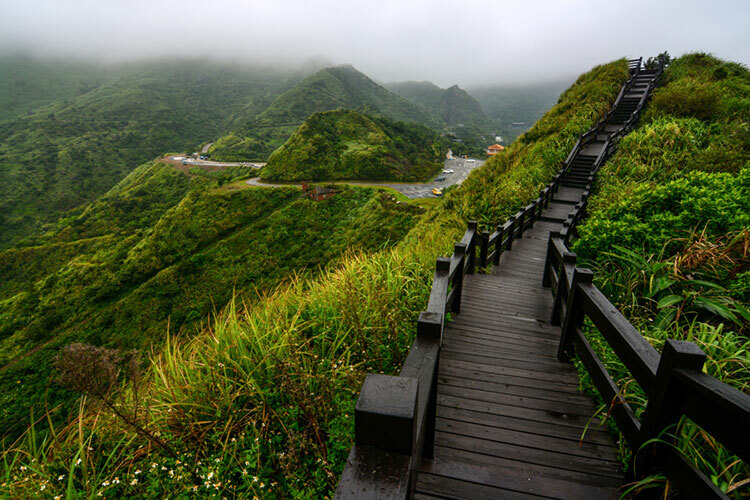 Pathway through a picture-perfect landscape on the Taoyuan Valley Trail in Yilan County. 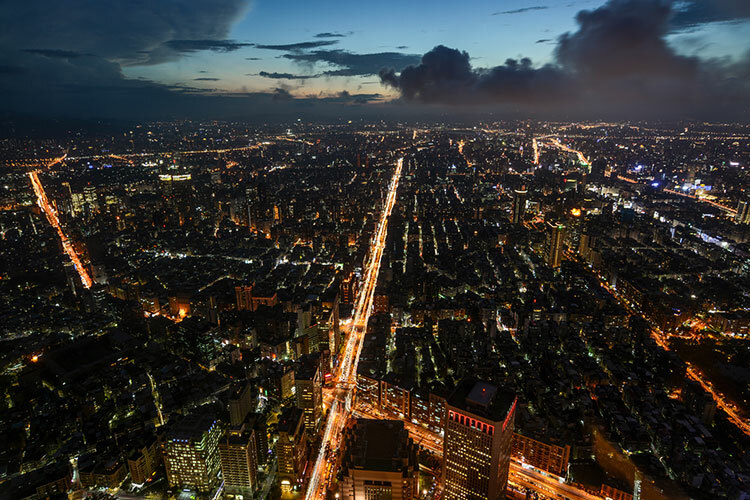 View of the city and traffic on Xinyi Road from the 89th floor observatory of Taipei 101. Taiwan is one of the most densely populated places in the world. Due to the mountainous terrain, most of the population is concentrated on the flat western side. In 2014, Taiwan and Australia both had a population of 23.5 million people, despite the latter being 214 times larger in area. 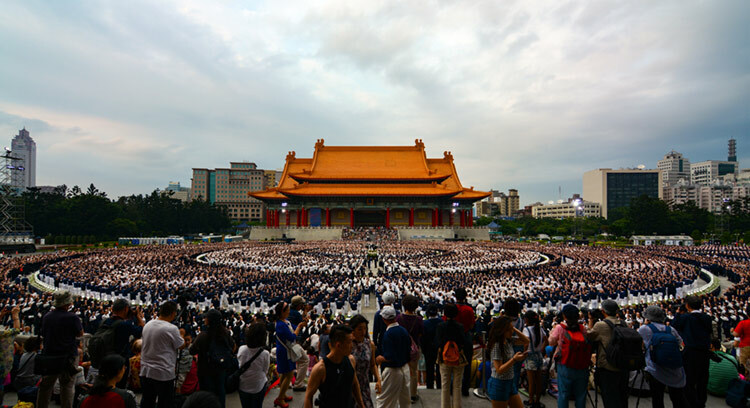 Tzu Chi celebrations for Mother's Day in front of the National Concert Hall in Taipei. 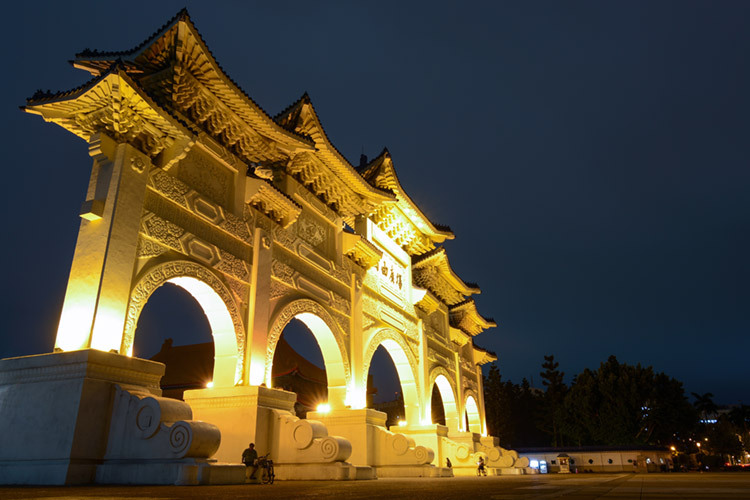 Night illumination at the paifang-style Gate of Integrity at the entrance to Liberty Square in Taipei. 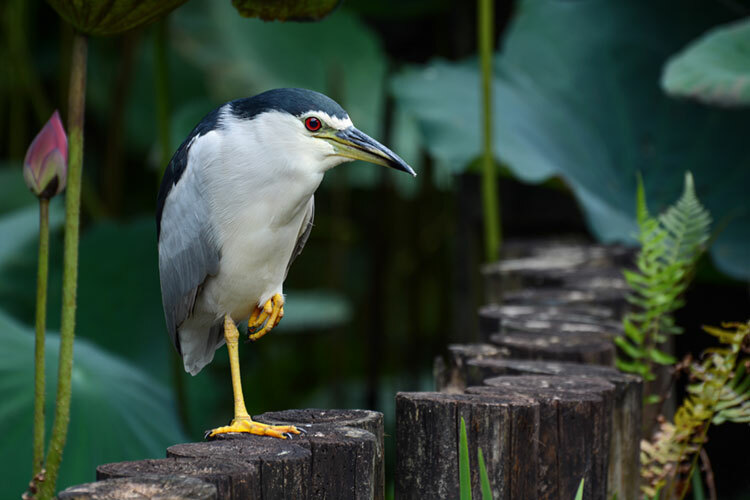 Adult black-crowned night heron stalking prey in a lotus pond at Taipei Botanical Garden. As of 2016, Taiwan's record for percentage of female legislators was 38%, placing it well ahead of its Asian neighbors, the United States, Germany, and the United Kingdom, as well as ahead of an international average of 22%. On May 20, 2016, Tsai Ing-wen became the first female president of Taiwan. Sunset over the Danshui River in New Taipei with Venus and a crescent moon over Mount Guanyin. 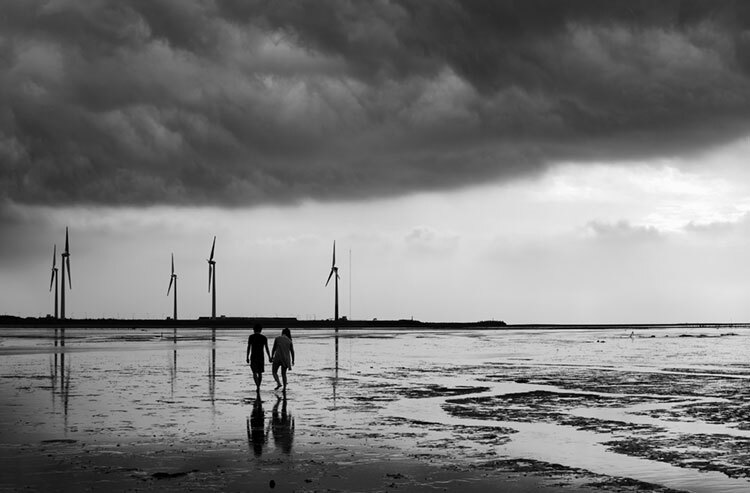 A couple walking through the mud at Gaomei Wetlands in Taizhong while a storm moves in. 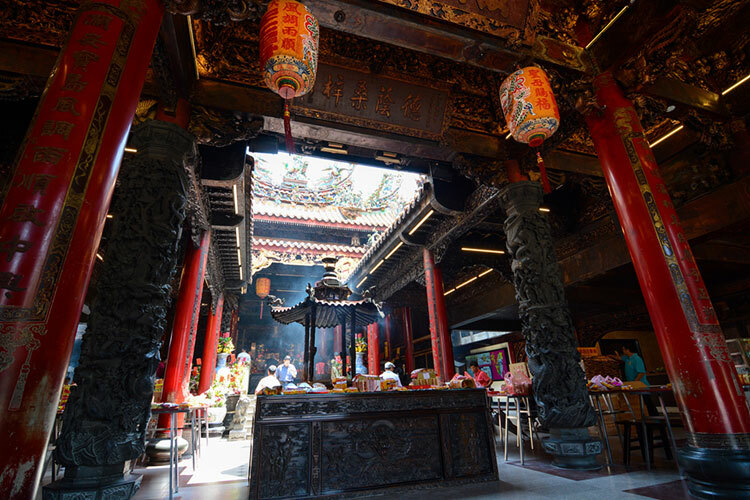 Dajia Zhen Lan Temple in Taizhong, dedicated to the Chinese sea goddess Mazu. 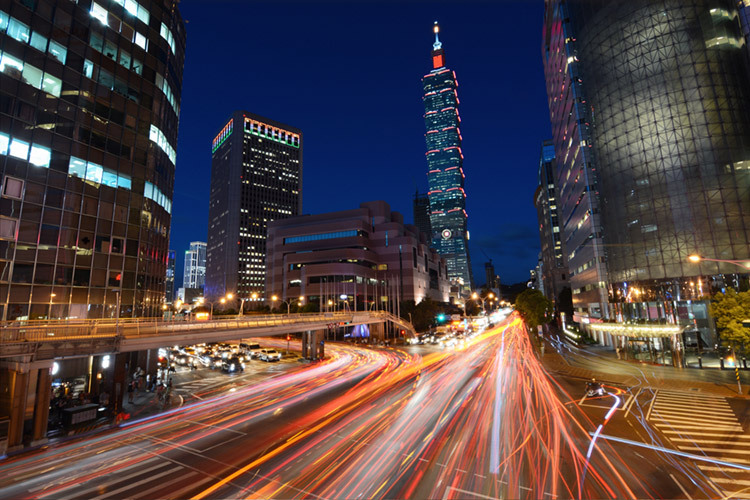 Most Taiwanese use a western name in situations such as language school, international business, traveling abroad, conversing with English-speakers, or simply to appear more modern. They choose the name themselves, often at a very young age, which leads to some very bizarre choices such as Naruto, Apple, Yoda, King, Easy, Tequila, and James Bond. 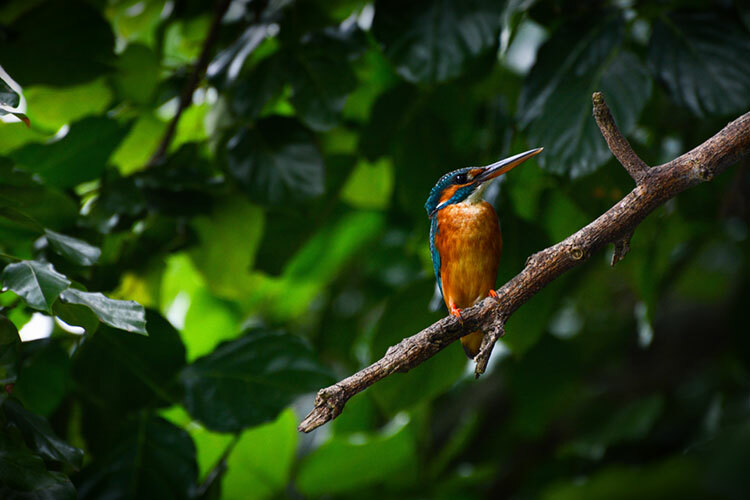 Female common kingfisher that I waited 5 hours across two days to get a decent photo of. Wu Liao Jian hiking trail. 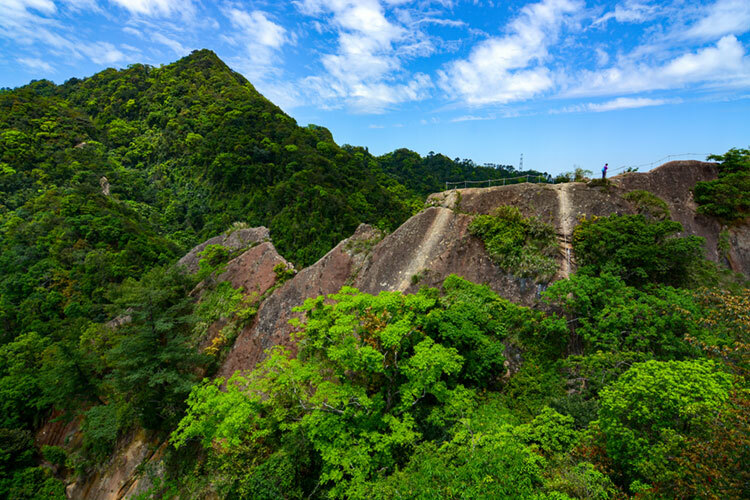 Trails in Taiwan often follow a rope straight up the side of a mountain. Fun! 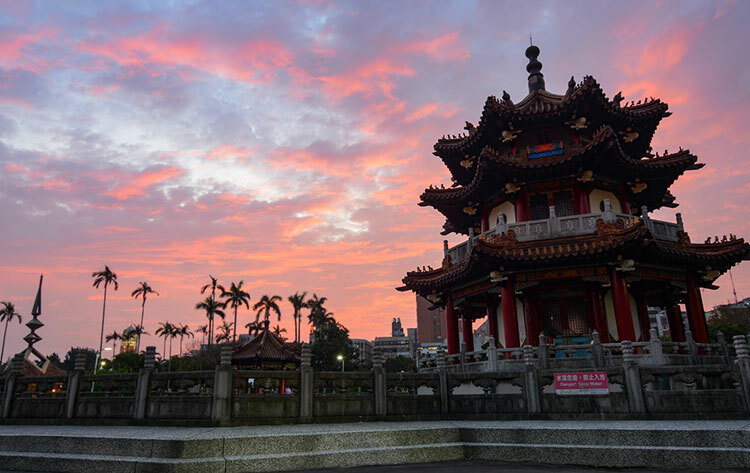 Beautiful sunset over a Pagoda at 2/28 Peace Park in Taipei. 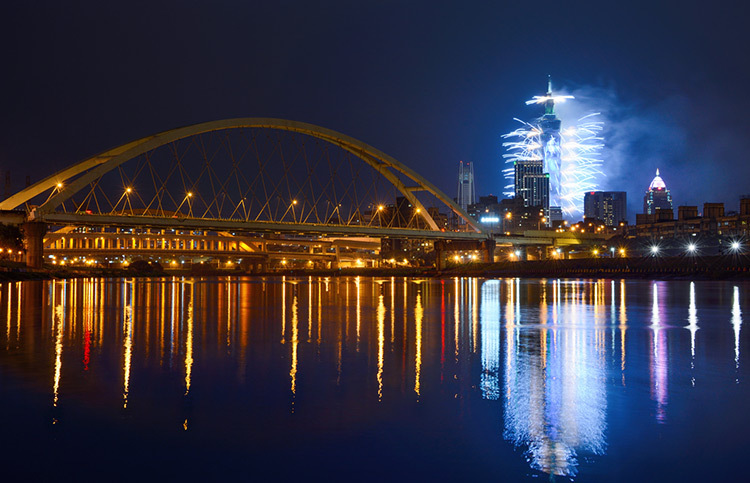 New Year fireworks launched from the Taipei 101 building reflecting in the Keelung River.